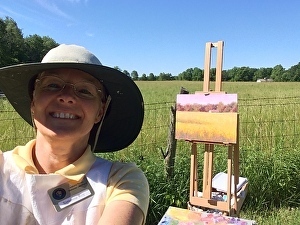 Simonne Roy is a professional artist who works primarily plein air, and lives in Central Pennsylvania. 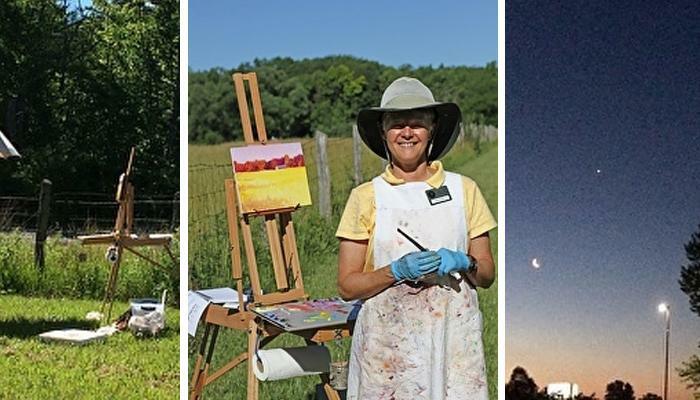 She was an artist-in-residence at Indiana Dunes National Park for two weeks during the summer of 2017. For more information about Simonne, visit www.simonneroy.com. 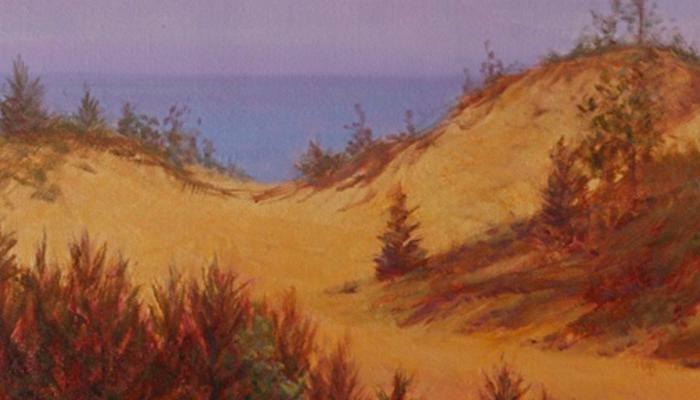 The Story of Painting "Indiana Dunes"
It was the end of my two-week artist residency at Indiana Dunes National Park and I had found the perfect location for the painting that would be the culmination of my time there. It would be large so as to convey the majesty of the dunes. 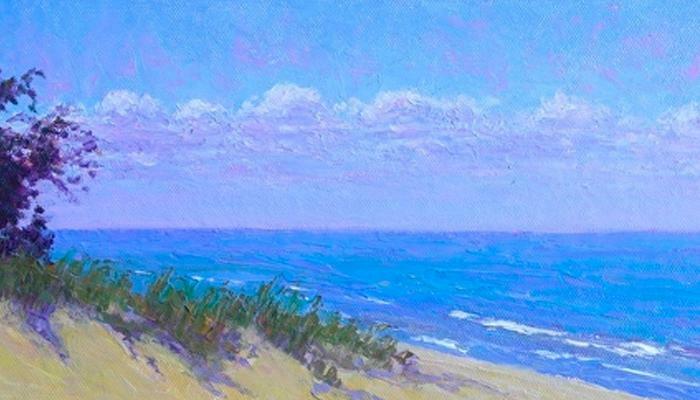 This year, the first day of summer coincided with my first day of my artist residency at the Indiana Dunes National Park. I woke to this beautiful sight of the crescent moon and Venus. The day was off to a great start! I knew I wanted to paint the colorful prairie grasses I had seen during the tour of the park provided by Ranger Jeff Manuszak the previous day. The Chellberg barn peeking above the field was a "morning painting" with long tree shadows creating drama and the morning sun bringing out the many colors of the grasses.